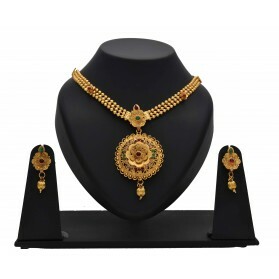 Antique Fashion Lappa Long Necklace set is apt for women on wedding functions or traditional occasion with Saree. Gold Plated Multi Strand Ruby AD Side Pendant Layer Chain Long Necklace will give you a classic and trendy touch on Party and Marriage functions. Stylish Gold Plated five Layer manimala has an adjustable back chain and the side pendant is embellished with Ruby and Cz stones. Elegant gold plated designer net chain long necklace with adjustable back link chain. 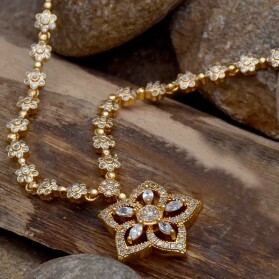 Stunning classic design pendant is embellished with synthetic Ruby stones. Ideal for Party and Casual Wear. South Indian traditional gold-plated bubbles layer broad bridal long chain/haram. It has adjustable link chain. This chain is not a daily wear, it is used as the last chain in weddings. Its classic and broad design will attract any one's attention. It is perfect for any traditional wear for a wedding and engagement. 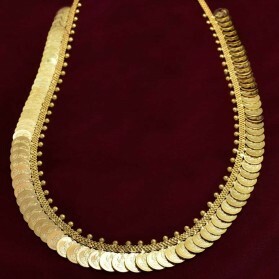 Traditional Gold Plated Bridal Mango Long-Chain/Haram is south Indian Jewellery. Mango motifs attached to a designer pendant and have an adjustable back link chain. This chain is not a daily wear, it is used as the middle chain for weddings or with ethnic wears on festive occasions. It is perfect for any traditional wear for a wedding and engagement. 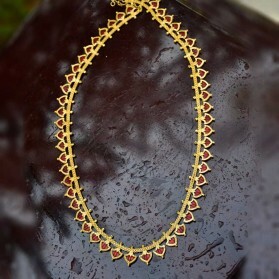 Kerala traditional designer gold plated Buds Long chain. Length adjustable with backlink chain. Its classic and trendy design will attract any one's attention. It is perfect with any traditional wear for a wedding or festive occasions. 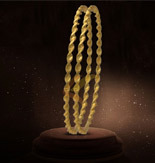 Kerala traditional designer gold plated Mullamottu/Jasmin Buds Long chain. Length adjustable with backlink chain. Its classic, as well as trendy design, will attract any one's attention. It is perfect for any traditional wear for a wedding or festive occasions like Onam, Pongal. Stunning Ethnik Mango Long Necklace for brides. This gold plated Kerala traditional jewellery can be used as a middle or last chain on the wedding. Traditional gold plated Jasmin Buds (Mullamottu) Long chain Haram. 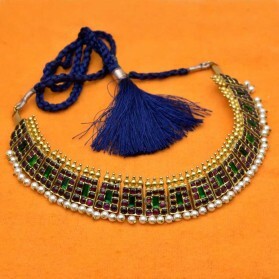 This bridal jewellery can be used as a middle chain on marriage. Its classic design will attract any one's attention. It is perfect for any traditional wear for a wedding. Kerala Traditional Gold Plated Pichimottu mala ( Jasmine) Long chain designed in hollow beads completed with adjustable hook and chain that is ideal to be worn on Marriages and engagements. This combination of Pichimottu and Elakkathali design is commonly worn by Malabar Muslim Brides. Kerala traditional very broad Mango Haram / Mangamala is very classic South Indian Bridal Jewellery. Elegant mango motifs are attached to a six-layer bubbles chain with adjustable backlink chain. This long broad mala can be worn by brides as the last chain on the wedding day.